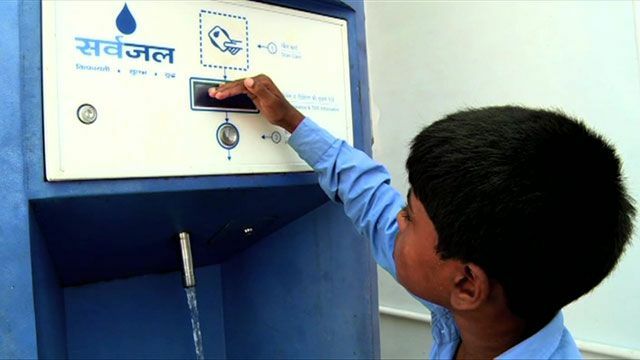 No, it's not an ATM, but a machine selling clean drinking water. It's part of a project launched by the city government in the Indian capital, Delhi. People use pre-paid cards to fill containers for a small fee. The water comes from a local, low-cost treatment plant. The scheme may be changing the lives of these residents, but for millions across the country without access to clean water, more initiatives will be needed.